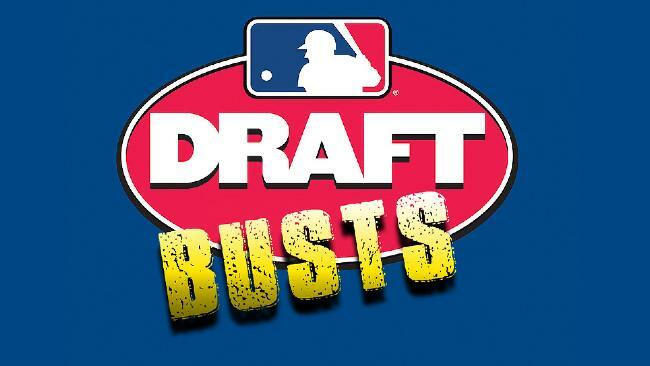 When compared to the NBA NFL or NHL, the Major League Baseball draft is a crapshoot, with only 66 percent of players selected in the first round ever making the Major Leagues. In fact, three times the first overall pick in the MLB draft never saw big league action. We’ve compiled a list of the ten worst overall top picks in baseball history. Read on to check it out. Matt Anderson could throw a baseball hard. Really hard, consistently topping 100 MPH during his career at Rice University. Thanks to his live arm, the Detroit Tigers selected Anderson first in the 1997 draft. Anderson’s career started out just how it was supposed to. He dominated the minor leagues in 1998, and was nearly as good after his mid season call up to the big club. Whatever the reason, Anderson struggled to top 90 MPH after the injury, and his already struggling Major League career was effectively over. If there is one thing the New York Mets had shown during their history it’s that the franchise knows how to develop pitchers. 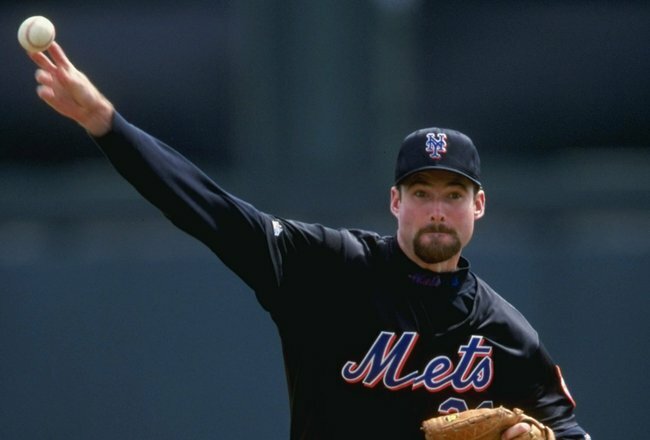 So when they selected hard throwing right hander Paul Wilson out of Florida State with the first pick in the 1994 draft you can forgive Mets fans for thinking they might have another Tom Seaver or Doc Gooden on their hands. Sadly, this couldn’t be further from the case. Wilson was actually pretty good during his first couple minor league seasons and ended up rated the number two prospect in all of baseball after the 1995 minor league year. However the majors weren’t kind to Wilson and he flopped with 5-12 record and 5.38 ERA during his rookie year in 1996. So it was back to the minors for Wilson, where he began suffering a series of shoulder injuries culminating in his missing the entire 1999 season. Wilson did return to the Majors in 2001 and then pitched six completely forgettable seasons with Tampa Bay and Cincinnati. He ended up with a 40-58 record and a 4.66 ERA. Prior to 2013 the Pittsburgh Pirates had endured 20 straight losing season, a record for a North American sports franchise. A lot of the Bucos’ historical ineptitude was related to them never taking advantage of the high draft picks that they received every year. Never was that more true than in 2002 when Pittsburgh selected pitcher Bryan Bullington out of Ball State with the first pick in the draft. After a few good but not great years in the minors Bullington got the call up and just plain stunk it up with a 1-9 record, 5.62 ERA and 54 Ks over five Major League seasons. These days Bullington is a mediocre starter in Japan, and the Pirates’ future would be even brighter if they had instead selected Zack Greinke or Prince Fielder with the overall first pick they wasted on Bullington. With the first pick in the 1984 draft, the New York Mets selected Shawn Abner out of Mechanicsburg Area High School in Pennsylvania. The Mets had had a pretty good recent track record with high picks, selecting Darryl Strawberry first overall in 1980 and Doc Gooden with the fifth overall pick in 1982. But their run of good luck ended with Abner, who struggled in the minors right out of the gate. In fact, the Mets gave up on Abner in 1986 and shipped him to San Diego as part of an eight player deal. Although Abner’s minor league stats didn’t improve much in the Padres’ system they still promoted him to the majors and over the next six seasons Abner would bat .227 with little power. It’s true the Mets somewhat mitigate their loss by trading Abner. Especially since Kevin McReynolds, a pretty decent player, was part of their return. However Mark McGwire and Greg Maddux were among the players the Mets could have drafted in ‘86 instead of Abner. Each of those baseball legends would have looked mighty good next to Strawberry and Gooden in what may have been a Mets’ dynasty. When a draft prospects is called “Toolsy” it usually means two things. First that he has a great deal of athletic ability and, second, that his baseball skills are still pretty raw. Al Chambers, whom the Marines picked first in the 1979 draft, was the ultimate toolsy prospect. So toolsy, in fact, that the Harrisburg, Pa. high school senior had also signed a letter of intent to play football at Arizona State University. But the Marines blew him away with a $85,000 signing bonus, which just turned out to be doubling down on a bad investment. Chambers hit decently in the minors, but the power he showed as a prep player and that had scouts comparing him to Dave Parker and Jim Rice never developed. His time in the majors was short and unpleasant, finishing his 120f at bat career with a .208 batting average and only two home runs. Seattle would go on to have much better luck with their next three overall number ones — Mike Moore, Ken Griffey Jr. and Alex Rodriguez — but it was selections like Chambers which kept the franchise picking high over and over again. Billed as the next Sandy Koufax and the best pitching prospect of all-time, David Clyde was drafted number one out the Westchester High School in Houston by the Texas Rangers. His legend was such that Rangers owner Bob Short decided to jump him right to the major leagues as a way to improve the gate for his struggling club. The move was roundly criticized as unfair to Clyde — bumping a college hitter right to the majors is pretty unusual so doing so with a high school pitcher was considered straight up baseball malpractice. Clyde did about as well as you would expect a green 18-year old would do against Major League hitters; he posted a 4-8 record with 5.01 ERA. He was little better in 1974 and then — surprise, surprise — he started developing shoulder problems. Clyde last pitched in the majors in 1979, washed up as 24-year old. The mismanagement of David Clyde is to this day a sad and cautionary tale. Danny Goodwin is the only man to ever be drafted with the first pick in the MLB draft twice. While this would suggest a player who would eventually go onto a successful baseball career, this couldn’t have been further from the case. In some ways, the Chicago White Sox dodged a bullet in 1971 when Goodwin decided to attend Southern University rather than sign with the Southsiders. Because when the Angels drafted him again in 1975 Goodwin quickly proved to be nothing but a waste of roster space. To be fair to Goodwin, he did put up decent numbers in the minors. However he also hurt his arm there, prompting a position move from catcher to first base. While his major league OPS of .674 over seven seasons would have been serviceable for a backup catcher it was atrocious for a first baseman/DH. Especially one who was twice selected with the first pick in the draft. The surest sign that you are a bust of a number one overall pick is that you never even made it to the major leagues. Steve Chilcott, a catcher out of Antelope Valley High School in Lancaster California, is one of three men to own that sad distinction. In fact, the Mets’ 1966 draft pick barely ever made it to triple-A, appearing in just 22 games at the minor league’s highest level. Chilcott can blame poor health for his failure to live up to his potential. He suffered a season ending separated shoulder during his first year of pro ball and was plagued by injuries the rest of his career, which ended after the 1972 minor league season. To make matters worse for the Mets the second player picked in the 1966 draft was Hall of Famer Reggie Jackson. But while Chilcott was an epic draft bust at least he isn’t in prison. Which, as you will soon learn, is where the other two top picks to never make the Major Leagues currently call home. It was unusual to see the Yankees, the most successful franchise in Major League history, with the first pick in the draft. But that’s what they had in 1991, and the Bronx Bombers believed they scored themselves a player that would put them right back on top in Brien Taylor. The left-handed high school pitcher out of Beaufort, North Carolina was immediately compared to former crosstown phenom Doc Gooden. And while Taylor’s first couple years in the minors weren’t quite Gooden-esque, he looked to be headed to a big time career. However in December of 1993 disaster struck. Taylor dislocated his shoulder and tore his labrum while defending his brother in a fist fight. After surgery he had lost almost ten MPH off of his fastball and just wasn’t the same pitcher. He was out of baseball by 2000, having never advanced past double-A. In 2012, Taylor was arrested for cocaine trafficking and eventually sentenced to 38 months in federal prison. 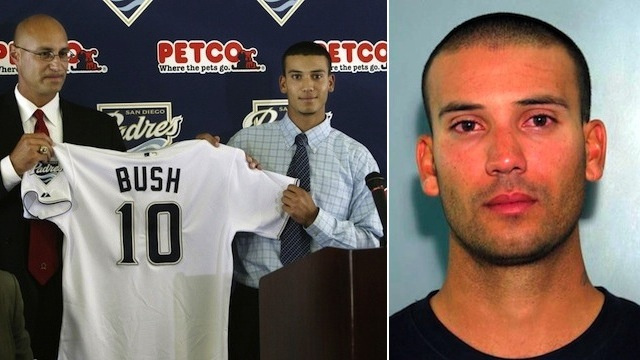 In 2004 the San Diego Padres used their first overall draft pick to select hometown boy Matt Bush, who had been a star pitcher and shortstop at Mission Bay High School in San Diego. While his high school stats were quite gaudy, maybe the Padres should have used their local contacts to look into Bush’s character, as he was suspended for his participation in a bar fight before he even played in his first minor league game. Drafted as shortstop, Bush struggled to hit minor league pitching when he returned from his suspension and became known for his injuries and behavioral problems. By 2007 the Padres had seen enough of Bush the shortstop and tried to take advantage of his 98 MPH fastball and convert him to a pitcher. That experiment was derailed by Tommy John surgery and the last most people heard about Matt Bush is in March of 2012 when he got drunk, got in his truck, and ran over the head of a 72-year old motorcyclist, who luckily survived. Bush is currently serving a 51-month prison sentence for what was his third DUI.